Word Faith, is it Charismatic or Another Gospel? This is a difficult topic to undertake because these two distinctly different theologies have been joined together or fused in such a way that many have been deceived into thinking that to be a Charismatic is to be Word Faith and vice versa. It is true that this Word Faith doctrine has taken the Charismatic movement by storm to the point where most Charismatics are also Word Faith in doctrine. Word Faith doctrine however is not orthodox Christian or traditional Charismatic doctrine. Charismatic doctrine, while there are problems with it also, never denigrates the cross of Christ like Word Faith doctrine does. One can espouse orthodox Christianity and be Charismatic in doctrine at the same time. One cannot espouse Christianity and be Word Faith in doctrine at the same time. Why the difference in these two seemingly similar doctrines? In explaining this it is best to concentrate on what these two groups believe concerning Jesus and His cross. My aim in so doing is to prove that to be Charismatic and to be Word Faith are two different things. It is my aim to prove that while Charismatic doctrine has inherent problems, (some of their doctrinal positions aren’t biblical), the orthodox Charismatic has a correct doctrinal pattern as it pertains to Jesus and His cross. It is also my aim to prove that Word Faith doctrine, though cleverly disguised, is not orthodox Christian and not Christian at all. When a person takes upon himself or herself any label other than Christian he or she must be aware of the baggage that comes along with such a label. With this in mind my main objective is not to defend the Charismatic believer or Charismatic doctrine. The first problem that this movement has is that it is a movement that has labeled itself something other than a label or name that would signify that it, the movement and its followers, is of Christ. Why not just be a Christian? Again, with this label, charismatic, comes a lot of baggage. By baggage I am referring to bad doctrine along with other things. One of these things is that because the label or name is unscriptural, it means different things to different people. To some today being Charismatic means following the Word Faith teachers and “prophets”. To others it means simply that they believe that the first evidence of being baptized in the Holy Spirit is speaking in tongues. These people generally follow the bible and their doctrine concerning Jesus and His cross is orthodox. These people tend to follow teachings of men like Chuck Smith, who is a very good Bible teacher and expositor of scripture. Men like Chuck Smith are orthodox in their beliefs and speak out against the Word Faith doctrine. 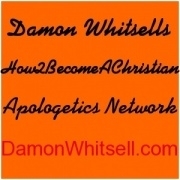 Chuck Smith wrote a book, Charisma vs. Charismania, where he writes on page 135, “The latest wind of pernicious, unscriptural doctrine to blow through the ranks of some charismatics is the `what-you-say-is-what-you-get’ teaching, otherwise known as the prosperity doctrine”. This by the way is Word Faith doctrine that he examines in this book and that he refers to as, “what-you-say-is-what-you-get” teaching. Other Charismatics have stood against this doctrine. 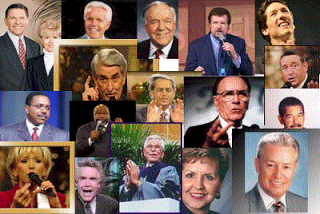 Some of these are Walter Martin, David Wilkerson, and R.L. Whitworth who wrote a book titled “God Told me to Tell You”. In this book he ably equates the “name-it and claim-it” theory as a “repeat of the Science of Mind ideas of Earnest Holmes,” founder of the New Age church of Religious Science. 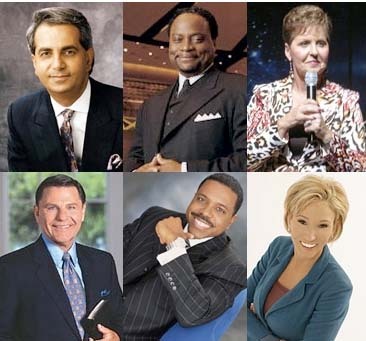 These Charismatic leaders prove that one does not have to be Word Faith to be Charismatic. In fact the Charismatic movement has been hi-jacked by this Word Faith group, who are not orthodox in doctrine nor are they orthodox in faith. What does it mean that they are not orthodox? It simply means that they have left the simple truth of the gospel. They have departed from the truth that through faith in Christ’s finished work at the cross and His perfect sacrifice there, we are saved. The Word Faith doctrine says that the cross was not enough. Friend, while you read this, let me be perfectly clear about something. If the sacrifice of Jesus on the cross was not enough, then you, me, and the whole world are doomed to a devil’s hell and Abraham, Isaac, and Jacob are there waiting for us. The whole council of the Bible and the whole council of history prove this cross, His cross to be the central moment in history. Those saints of old, who lived before the cross, lived and died in anticipation of the cross. The Word Faith doctrine teaches the cross was not enough to pay for the saints of old salvation, nor was it enough for yours or mine. If that does not shock you, brother or sister reader, and it should, there is more. Word Faith teaching about the blessed cross is that Jesus died spiritually on the cross. The Word Faith doctrine continues with what happened after the cross. Jesus said to the thief who was hanging on the cross next to Him, “Verily I say unto thee, To day shalt thou be with me in paradise”. The Word Faith people evidently know better than Jesus. Their teaching is that Jesus went to hell to be tortured by the Devil for three days. When the Devil saw or felt that the suffering of Jesus was enough to pay for our sins, the torture stopped and Jesus was born again in Hell. He needed to be born again, remember they teach that Jesus died spiritually. There are so many problems with this doctrine. First of all it is blasphemy of the lowest, most disgraceful order. Jesus’ words to the thief again, “Verily I say unto thee, To day shalt thou be with me in paradise”. There is no room for this in Word Faith teaching. Also there is no room for the teaching in Hebrews chapter 9. Hebrews 9 tells us, that what had happened on earth with the high priest sprinkling blood on the tabernacle and all the vessels of the ministry, now happened in holy places not made with hands. “For Christ is not entered into the holy places made with hands, [which are] the figures of the true; but into heaven itself, now to appear in the presence of God for us”. Jesus, our High Priest, applied His blood to the mercy seat in heaven, just as the high priest of old would do at the tabernacle. This sprinkling of blood was part of the Old Testament sacrifice that happened once a year at the Passover. Jesus went to heaven to apply the blood of sacrifice after His death on the cross. The Bible teaches this. The teaching that Jesus went to hell to be tortured of the Devil is an affront to His sacrifice on the cross and is a doctrine of demons. Satan couldn’t defeat the Son of God who was triumphant even in death. Jesus led the thief on the cross to paradise that day. Jesus entered hell, not the burning part, but the compartment of Hell called paradise. He entered there to free those saints who died before the cross to take them to Heaven with Him. In heaven He sprinkled His blood on the mercy seat, the blood He shed for you and me. The Devil was defeated on the cross and the doctrine that says the cross was not enough and gives the Devil a part in our salvation is a doctrine of the Devil himself. Word Faith teaching is that when Satan saw that Jesus had suffered enough torture in Hell to pay for our sins, he stopped the torture and Jesus was born again. If this is not a doctrine born in Hell by the Devil himself, then there never was a doctrine born in Hell. In following this doctrine, many are placing faith in the Devil holding, and torturing Jesus enough for our salvation. Faith in the Devil? Does this sound like orthodox doctrine? What Jesus is this that needs help from Satan himself to redeem us? This is another Jesus, a Jesus not found in scripture. This is a Jesus that cannot save anyone. Only the Jesus who was triumphant in death on the cross, the Jesus whose death ALONE saves us from our sins, can save anyone and everyone who will place their faith in Him and His cross of sacrifice. Faith in anything else will doom one’s soul to an eternal Hell. The Jesus died spiritually doctrine does not even resemble orthodox Christian doctrine and is not consistent with traditional Charismatic doctrine either when it comes to the cross of our blessed Lord. This brings me to another facet of Word Faith doctrine. This is the teaching as it regards faith. On what is your faith based? Christian, what is the object of your faith? If it is not Christ and his shed blood, then you are following an abhorrent teaching, or you have departed from the truth of the Gospel. Is there room for faith in anything else? How many ways can one say NO? I wish there was a way to shout from this page when I say, “NO”. The teaching of the Word Faith movement is that we should have faith in many things, even in our own words. The teaching is that our words are powerful and that faith is a force. The Bible never teaches either of these things. Word Faith reduces our faith to faith in our own words. Faith in what Jesus did for us at the cross is reduced to faith in my own puny words that come from a heart that loves God, but doesn’t always beat perfectly for Him. Word Faith teaching is that faith should be in the prayer for healing. Yes, faith should be in the prayer itself. Word Faith teaching is that if you don’t have faith in your own words, you won’t get what you want from God. If you don’t have faith in the prayer for healing you won’t be healed. Friend, I’ll try to be kind here in answer to this. Word Faith teaching is that if you won’t accept this doctrine of having faith in faith itself, it means that you would rather be sick. Let me tell you that I would rather be sick for the rest of my life than to place my faith in anything other than His shed blood. Jesus does heal today, but our faith is not in the healing, but in His shed blood. We thank Him for healing, but if He never heals another person it does not change the fact that I’m saved by the blood of the precious Lamb of God. People are healed, but it is also appointed unto men to die. When one dies all that will matter is what Jesus did at the cross and faith in that act of deliverance. Faith in that old rugged cross is what gives hope of healing and deliverance. It is this faith that anchors the soul and allows one to have faith for healing. Healing doesn’t always come; sometimes it is not God’s will. This statement is not a statement of faithlessness. This is a statement of faith. Word Faith doctrine teaches that people are sick or die early because of a lack of faith. Allow me to use a highly theological term when I say that this is rubbish and is nowhere taught in scripture. People all through scripture with tremendous faith were afflicted terribly by sickness and other problems. God might take some home to heaven early to spare them and loved ones untold misery. Some may go through sickness to be a witness to others of how Jesus can be your peace even in bad times including the death bed. It is the height of arrogance to judge everyone by their health or their possessions. I’ll say it again, if your faith is in your words because they are powerful, you have placed your faith in something other than Jesus and His sacrifice on the cross. Life is in the Son, as long as one’s faith is in Him and what He did at the cross, that person is saved. If one’s faith is in anything else, that person needs to come back to the truth of scripture and an old rugged cross stained with the blood of our dear Redeemer. Word Faith doctrine in this regard is not orthodox Christian doctrine. Word Faith doctrine cannot save because it places faith in something other than on Jesus and His cross. Many times Word Faith teachers will talk seemingly highly of the cross and then they will use a disclaimer such as “but more importantly”, or, “Thank you Lord for the cross, but more importantly…”. That should raise red flags for us anytime we hear someone say, “Thank you God for the cross, but more importantly I thank your for (insert anything here)”. There is something more important than the cross? Friend, this is nonsense, this is blasphemy in itself, to say that anything is more important than the cross. This is not an orthodox theology and will send many to Hell. This is not Charismatic doctrine, either. This is an affront to the cross hatched out of the Devil’s hatred for the cross. This doctrine has become the norm on so-called Christian television. This will be the scourge of this generation in Christianity if it is not refuted and called what it is by influential Christian leaders. So far they are deaf mutes when it comes to this theology. They seem to have never heard of this doctrine or if they have are saying nothing about it, or against it. To many, this silence will be taken to mean that it must be good doctrine. Surely Dr. so and so would speak out against it if it were wrong doctrine. Unfortunately Dr. so and so is not saying anything about this doctrine. Soon this doctrine will creep into his church and if allowed to fester, all discernment will be gone. In the coming years with rising persecution of the church, we need a strong foundation. Word Faith doctrine is not a strong foundation and if it is allowed to go unchecked, it will be very difficult for Christians to tell the true church from a counterfeit. Most churches today have espoused some form of Word Faith doctrine. Little by little it is creeping in and bits and pieces of it find their way out of the mouths of preachers, teachers, and church leaders. Matthew 13:22 says, “For false Christs and false prophets shall rise, and shall shew signs and wonders, to seduce, if [it were] possible, even the elect.” In 2Thessalonians 2:3 we are told of a great falling away. Could this Word Faith movement be if not the great falling away, possibly a great falling away? 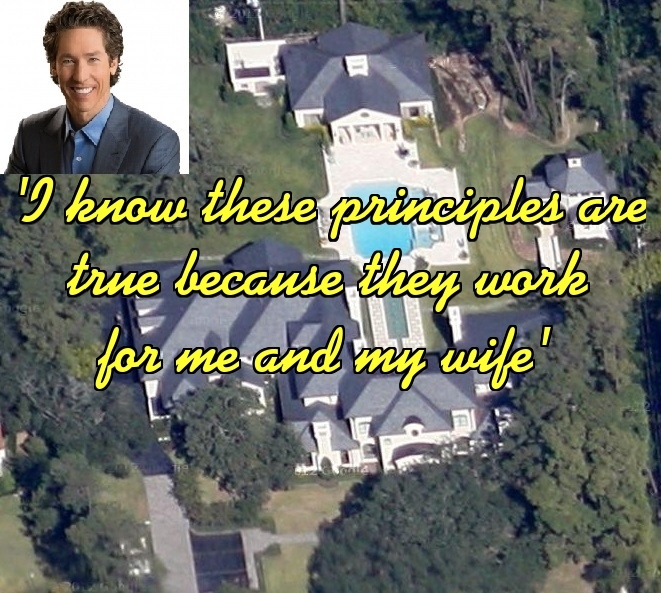 We certainly see false prophets, proclaiming a false christ among those in the Word Faith group. Some proclaiming through “prophetic word of knowledge” that Jesus is going to appear bodily on stage at crusades. 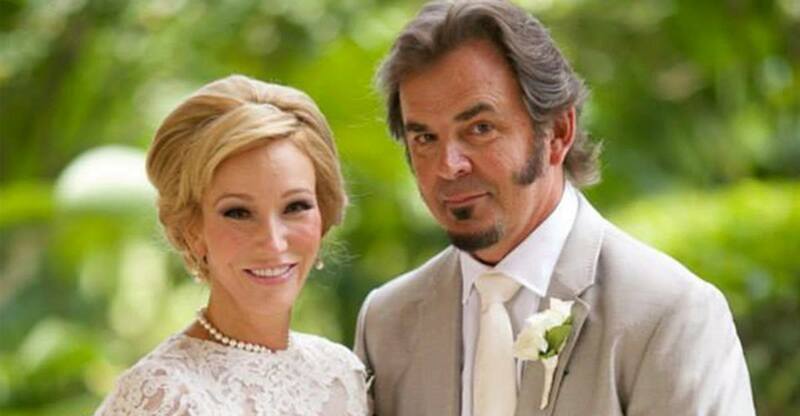 We see here false prophets who are proclaiming a false christ. How do I know that this prophecy is false? 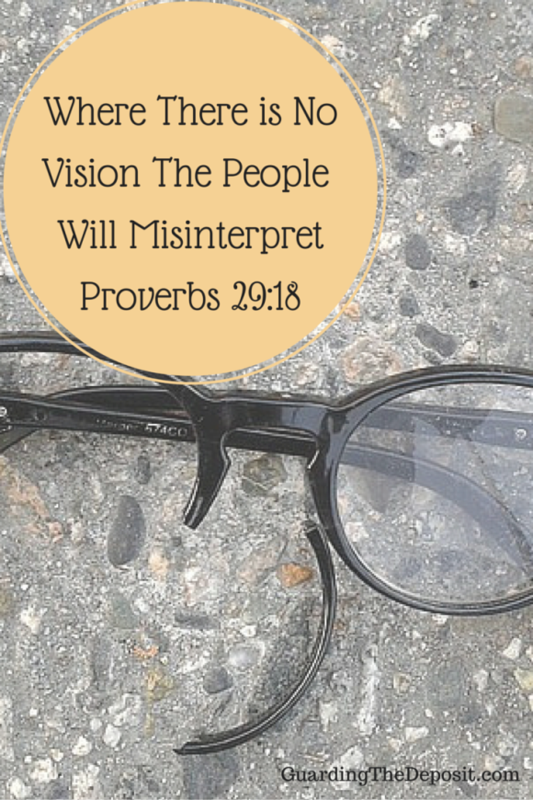 Because scripture tells us that upon the next manifestation of Jesus, every eye shall see him. Jesus told us Himself when he was ascending to heaven, that he would come in like manner and in Revelation 1:7 we are told that He will come with the clouds. He is not coming to a stage near you. He is coming with an entrance fit for a King, the King of glory. He is coming with the clouds and every eye shall see Him even those who pierced Him. Will those who pierced Him be at a Word Faith rally? Hardly, but at seeing Him all kindreds of the earth shall wail because of Him. Will all kindreds of earth be at a Word Faith rally? Of course not, but these things will happen when Jesus makes His next appearance. Revelation 1:7 “Behold, he cometh with clouds; and every eye shall see him, and they [also] which pierced him: and all kindreds of the earth shall wail because of him. Even so, Amen.” These men and women are false prophets. They are false prophets because their prophecies are anti scripture. 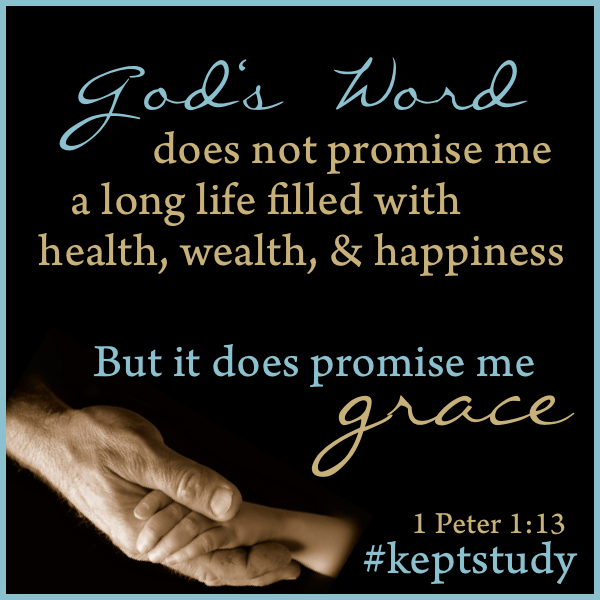 God wrote scripture and God does not change His mind. Either the “prophet” is lying or God is a liar. Romans 3:4 “let God be true, but every man a liar”. It is my hope that some will see this that are either on the path to destruction and this will cause them to search the scriptures for themselves and find the true Savior, the true Christ. And in finding Him, surely you will find Him sweeter than honey, and much stronger than you ever knew before. He is the only begotten of the Father, the only one like Him. Come to Him as you are, placing your faith not in your words or in your ability to create wealth and health, but in His ability to save your soul and place you on a higher plane than you could have found on your own. Come to Jesus. Come to the Jesus of scripture. Come to Jesus, He will save you.